How the SOMATOM® Definition Edge CT is helping Mary Lanning Healthcare answer the challenges of patient safety and patient satisfaction and position for future growth. With more choices available to patients about where they want to receive care, focusing on safety and satisfaction will help providers stand apart from the competition. 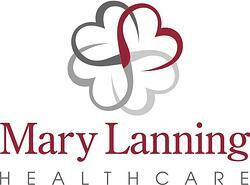 Successful organizations will find a way to establish effective processes and deliver the right technology to gain a competitive edge when it comes to key outcomes like patient safety and patient satisfaction Recently, Mary Lanning Healthcare, a 183-bed facility in Hastings, Nebraska, upgraded an eight-year-old computed tomography (CT) system with a new, 128-slice SOMATOM® Definition Edge. With an increasing trend toward transparency in hospital outcome measures, and maybe even public radiation dose reporting one day, the purchase was made to enhance the patient experience and position the hospital at the forefront of diagnostic imaging.